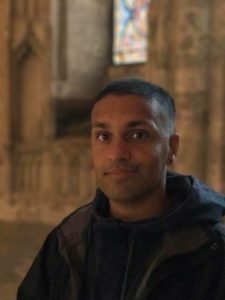 Here is the first blog from new Living Words writer in training, Anil Sebastian. One thing that has amazed me is that there is space in this training to allow those feelings to come and become part of our work. I’ve been surprised by my openness. In the work, we are building deep connections with people – holding a moment with someone just a breath apart from us – who on the surface may seem ‘gone’. Sometimes that space is held for 20 minutes, sometimes even as much as an hour – just listening – being – connecting in the eyes – mirroring breathe – not waiting or expecting, but just being there as an equal in a shared moment. Everything else falls away. I’m surprised by that because my mind is often a noisy place – connecting dots. The words and sounds from the four people I am working with often amaze me – perplex me – sometimes I find myself wanting to interpret them – anchor them to facts – understand ‘who’, ‘what’ or ‘where’ lies beyond them – but we’re only here to hold those words *with* that person – and when we do those words are like shapes caught in air – little parcels to treasure and they mean the world and when I thank the people I am working with I mean it like I’ve never meant it before. I’m trying not to think about the music that I will be writing for London Contemporary Voices later on in this residency – I’m hoping it will sort of dance out by itself? At the moment, I have no idea and I’m trying to allow myself space. Right? No pressure. See where it goes. Anil Sebastian. Anil is a singer, songwriter and producer – see his work here. He also runs LCV choir with his partner Didier Rochard.